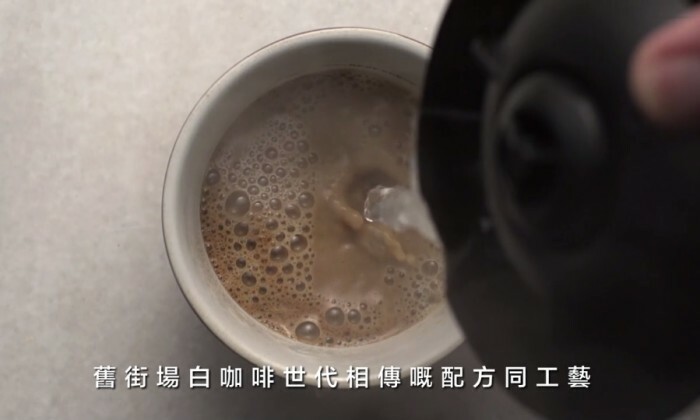 To reinforce its brand positioning – The Only True White Coffee in The Market – OldTown White Coffee (舊街場) has rolled out an ad campaign spanning social media, mobile, television, and below the-line activities. Developed by Maxus Hong Kong and GroupM Social Hub Hong Kong, the campaign starts with OOH and print advertising, sampling at commercial buildings as well as street interview with office workers by celebrity DJ Sammy Leung (森美), with a view to enhancing the brand re-call and product reminder. Three opinion leaders were then lined up and flied to the white coffee origin – Old Town, Ipoh – on a four days trip. During the journey, real time content recording the journey is pushed by the KOLs on social platform. After the journey, we turn the KOLs real experience in to several travel diary (尋味日誌), which is regularly updated in the campaign app, where brand message and positioning are communicated via the eyes of local KOLs in order to make the content more relevant and easily absorbed by targets audience. The content was then transformed into a Q&A game where wining participants were given a chance to visit OldTown. On-target online and social ads are mainly used to facilitate traffic to the app. Mobile friendly version of the application is also developed to enhance the campaign reach. “Competitors are aggressive with increasing White Coffee brands and threats from fast-drink culture where western coffee is still a mainstream coffee to drink,” said Scotty Ho, associate director at Maxus Hong Kong. The campaign will run until 7 September. The image used on Suarez's Twitter featured him wearing a traditional Indian outfit and greeting Malaysian folks in Tamil with the.. Regional – Adidas has rolled out a regional campaign for the launch of its latest trainers Adipure 360, targeting regular gym goer..